Curtailing One-Sided Participation Options: The requirement that all ACOs quickly accept two-sided risk could improve the performance of ACOs that continue to participate in the MSSP, but would also reduce MSSP participation. CMS’ proposal does not strike an obviously unreasonable balance between these competing considerations, but there is real uncertainty about the correct policy path. Thus, if CMS finalizes this proposal, CMS should carefully monitor MSSP participation and change course if participation falls precipitously. Regardless, CMS should correct its claim that participation in MSSP via one-sided models has increased Medicare spending to date, which contradicts the best evidence. Shifting to Five-Year Agreement Periods: Shifting to five-year agreement periods would strengthen ACOs’ incentives to reduce spending by breaking the link between ACOs’ performance in the first two years of each agreement period and their future benchmarks. CMS should finalize this proposal. To align with this change, CMS should begin using five-year spending averages rather than three-year spending averages when establishing ACOs’ benchmarks. While this modification would worsen incentives during the first two years of each agreement period, it would improve them during the final three years of an agreement period. On average over the entirety of a five-year agreement period, this modification to CMS’ proposal would likely improve incentives modestly. Changing the Method of Measuring ACOs’ Total Revenue: CMS’ proposal to measure ACOs’ total Part A and B revenue based solely ACOs’ participant lists, rather than also counting revenue received by providers with an ownership or operational interest in one or more ACO participants, could allow ACOs that are affiliated with a hospital to access participation options that are intended for physician-only ACOs. 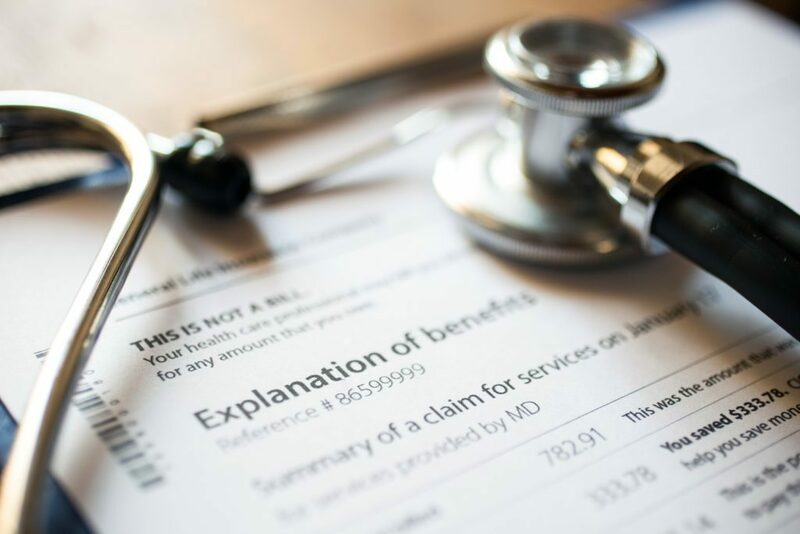 Thus, if CMS is going to vary the rules that apply to ACOs based on their total Part A and B revenue, it should count revenue received by the broader set of providers. Modifying the Risk Adjustment Methodology: CMS’ proposal to rely solely on changes in CMS-HCC risk scores for the purposes of risk adjustment during an agreement period has the potential to simplify and improve risk adjustment in MSSP. However, CMS’ proposal to limit benchmark adjustments to 3 percent in either direction is flawed. At a minimum, CMS should eliminate the limit on downward benchmark adjustments in order to deter risk selection by ACOs. CMS should also eliminate the limit on upward adjustments, which undermines risk adjustment’s ability to protect ACOs from idiosyncratic deterioration in patient mix, and instead implement other policies that limit ACOs’ ability to benefit from aggressive coding of patient diagnoses. Capping and Shrinking the Regional Adjustment to ACO Benchmarks: CMS’ proposal to reduce the size of the regional adjustment would likely increase participation in the MSSP by ACOs with high spending relative to their regions, but would weaken participating ACOs’ incentives to reduce spending by strengthening the link between ACOs’ current performance and their future benchmarks. The analysis CMS uses to justify this proposal ignores the downsides of this policy change, so CMS should conduct additional analysis that takes account of these negative effects and reconsider its proposal based on the outcome of that analysis. CMS should also consider alternative changes to the benchmarking methodology that could encourage participation by historically high spending ACOs without undermining ACOs’ incentives to reduce spending. Implementing a National-Regional Blend for Calculating Trend Factors: Rather than adopting benchmark trend factors based on blend of national and regional spending growth rates, CMS should continue to use purely regional trend factors, but exclude an ACO’s own beneficiaries when computing the trend factors that apply to that ACO. When an ACO’s service area does not include enough enrollees not aligned with the ACO to compute reliable trend factors, CMS should include data from adjacent or otherwise similar counties. CMS should also exclude an ACO’s own beneficiaries when computing the regional spending average used in computing the regional adjustment. Using Regional Factors During an ACO’s First Agreement Period:CMS should finalize its proposal to use regional trend factors when establishing and updating an ACO’s benchmark during its first agreement period. CMS should also finalize its proposal to apply a regional adjustment when establishing an ACO’s benchmark for a first agreement period, but it should conduct additional analysis to determine the size of that adjustment.